The former mayor of Sofia’s Mladost district Desisslava Ivancheva and her deputy Bilyana Petrova were arrested in a brutal display in April, forced to stand handcuffed for six hours in the middle of a busy intersection in the capitol center. The two were ‘caught’ with a 70’000-euro bribe, which was allegedly only a down payment of 250’000 euro, in return for pushing forward a real estate construction permit. The circumstances of the arrest brought up suspicions early on that the state institutions involved are using the case as a demonstration. Merely a stunt by the Prosecutor’s Office and the Anticorruption Commission to showcase that they take the fight against corruption seriously. And to nail the attention to this one case and not to leave room for the question as to the absent charges against truly powerful figures in numerous potential cases: after all a mayor in a district of Sofia with no political or business background – even if bribed – lacks the power and connectedness, which are an essential element of any sustainable corruption scheme or enterprise. 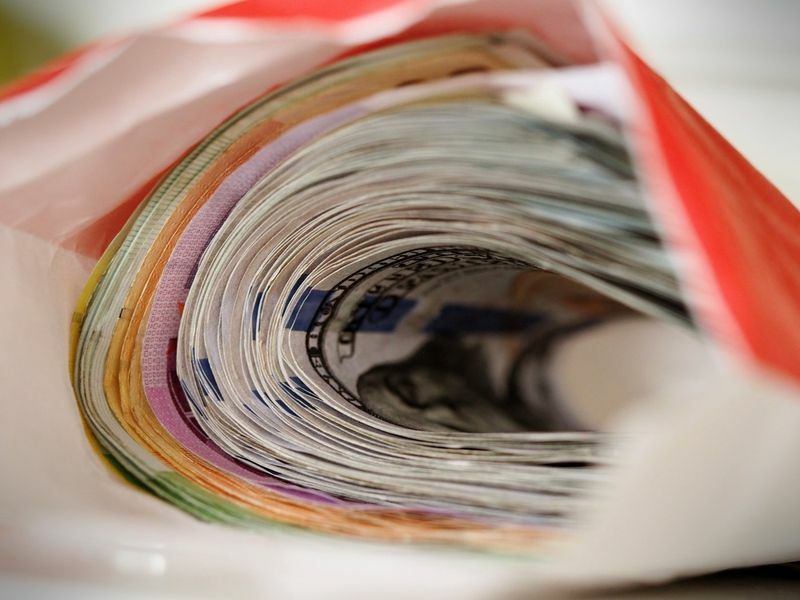 A bribe is an act, corruption is context with a web of intertwined power and financial dependencies at the highest – in this case – ranks of power. The Prosecutor’s Office and the Anticorruption Commission’s fixation on this case and the persistence in which the accused are constantly presumed guilty, is highly suspicious. Even if we suppose – as the Bulgarian prosecution does – that the accused are guilty, given their lack of connections in higher power circles, they are too easy of a target. Which begs the question – at the very least – of a prosecution with double standard and highly partial in choosing its cases. The measures against the two women were disproportionate from day one. Additionally, Ivancheva and Petrova were known to have blocked shady construction projects in Mladost, and have been vocal about it. Many observers suspected early on that the whole operation might be retaliation by those affected by the blocked permits, who by definition are close to power themselves. For the next seven months the two have been treated by the Bulgarian authorities as mass terrorists the likes of which Bulgaria has never seen. During court hearings the two women stood inside soundproof glass cubes: a measure reserved for the dangerous criminals, people who pose a physical risk to their surroundings, which security cannot mitigate under normal conditions. An extraordinary measure, justifiable only in cases of extreme physical risk. This cruel spectacle has continued whenever the authorities has had the chance: on the occasions, in which Ivancheva and Petrova were taken to the hospital because of their deteriorated health, they were shackled across hands, ankles and torso – again – as if extremely (physically) dangerous criminals. The chains’ arsenal fell short only by a muzzle. The conditions in Bulgarian jails and prisons are famous for being barely livable. The country gets sued over the unhuman conditions in Bulgarian incarceration facilities in the European Human Rights Court regularly. Ivancheva and Petrova have also said they will sue. Over these past seven months they have complained that the cells they are forced to live in are in a gruesome state. The Bulgarian authorities, including the Ministry of Justice, have responded firmly that the facility in question fully meets all EU standards. But the other day Maya Manolova, the ombudsman of Bulgaria, went to see the cells the two women have been living in for the past seven months. Manolova made photos, which she published online. The conditions are obviously very far from any standard, concerned even remotely with preserving human rights and especially dignity. In a twisted coincidence, just as the Bulgarian authorities were assuring the conditions in the prisons are EU compliant, a man died in his cell after he was taken to see a doctor. Bulgarian incarceration facilities and the people and institutions that run them violate human rights and lie about it publicly. But so what? Most Bulgarian institutions are used to getting caught abusing power or just be dysfunctional to the point of inflicting harm (as is the case of health institutions in Bulgaria). The people who abuse power know that the worst that can happen is the country gets sued in some international court, in this case, the European Human Rights Court. The court will likely rule in favor of the plaintiff and the state budget will pay a hefty fine. This is the drill, and it is not a collection of instances but a system of the everyday bureaucratic practice in Bulgaria; the same goes for environmental violations, large- and mid-scale energy projects, which violate EU law but survive just enough to benefit a select group of individuals and firm but, and so on. No one ever holds personal responsibility for these violations, and everybody knows they wouldn’t, which provides great freedom when abusing power. The key to keeping this system strong, of course, is a captured judicial system, and in this case, with an almighty Prosecutor’s Office. The Bulgarian authorities have treated these two women over the past seven months outrageously harsh, and likely unlawfully so. Not only have the Bulgarian institutions disregarded the presumption of innocence entirely by de facto treating them as convicted criminals, but this ‘punishment’ consists of continuous humiliation and psychological torture, which in of itself is a punishment technique and hardly finds itself within a judicial system in a democracy. But even if we set this aside, give the Bulgarian institutions the benefit of a doubt: crude as they might be, and ask the core question: the actual case, the picture only worsens. During the court proceedings the prosecutors have come nowhere near proving or even suggesting convincingly that the two committed the crimes they are charged with. The evidence is vague and often amounts to no more than hearsay. The prosecutors have failed to find a single witness, who can testify that Ivancheva or Petrova themselves asked for the money or even knew about the pay-off. The closest they have gotten is confirming that the man charged with being the middle-man in the deal – Petko Dyulgerov – the person who Ivancheva and Petrova accuse of setting them up – knew about the bribe. Even the prosecution’s lead witness, Alexander Vaklin, who provided the money for the alledged bribe, testified that he had never spoken to neither Ivancheva, nor Petrova about it. Dyulgerov had been the only one Vaklin had spoken to about it. The court has now ruled twice that the women be put under house arrest. On both occasions the prosecutors appeal and the appeals’ court reverses the decision. At first the court ruled the two remain in jail in order to prevent them from tampering with witnesses’ testimonies. After the last witness testified, the courtdecided that Ivancheva and Petrova be released under house arrest. First of all as the initial justification for the heavy measure was now obsolete, as the witnesses had testified. Second, because the court recognized that the two women’s health is increasingly deteriorating to the point where they could not conduct a proper defense for themselves. But on what grounds does the appeals’ court keep returning them to jail? This week the Head of the Supreme Court of Cassation Lozan Panov ordered three supreme judges to examine the documents in the case and to analyze the appeals’ court rulings. Astonishingly enough, the reaction to this came from none other than the Prosecutor’s Office itself. By the way, the Prosecutor’s Office and Lozan Panov have been in a feud for some time now, the latter demanding reform and more accountability by the chief prosecutor, which the former naturally opposes. The prosecutors protested Panov’s request and insisted the appeals’ court do not comply as this would interfere with the impartiality of the court proceedings. The prosecutors did not explain how could that be but clearly, the Prosecutor’s Office does not want the supreme judges looking into this. The appeals’ court gave access to the documentation, but the reaction of the prosecutors gave grounds for Ivancheva and Petrova’s lawyer to request that the prosecutors in the case recuse themselves for trying to influence the court. Seven months into this horrific case, it (still) seems less and less to be about due process. The focus has never been on these women’s alleged crimes, be they guilty or not. The focus is on their public disgrace and systematic demise of their dignity. Whatever the reason this is inflicted on them, and not on someone else, several points are very clear. For one, due process in this country is a luxury, which the state may or may not provide; second, there is no apparent underling principle guiding whether or not the Prosecutor’s Office bring up charges, except if one considers the Prosecutor’s Office’s political biases. Finally, this spectacle is a message to anyone who might be wondering how far does Prosecutor’s Office power reach. Otherwise, one aspect of this story’s end, whenever it may be, is without a doubt. Regardless if found guilty or not Ivancheva and Petrova will (and rightfully so) sue Bulgaria for human rights violations, and will likely win. 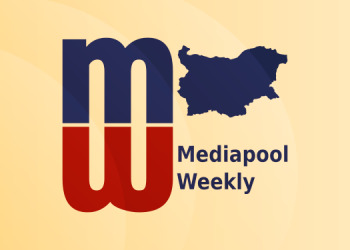 The taxpayers will once more pay the bill, the story will make headlines in the underwhelming number of independent Bulgarian media, and no one responsible will have to deal with any consequences because there will be none. The official Bulgarian position, which was expressed by the government on Wednesday condemned Russia’s actions and deemed them ‘unacceptable’. 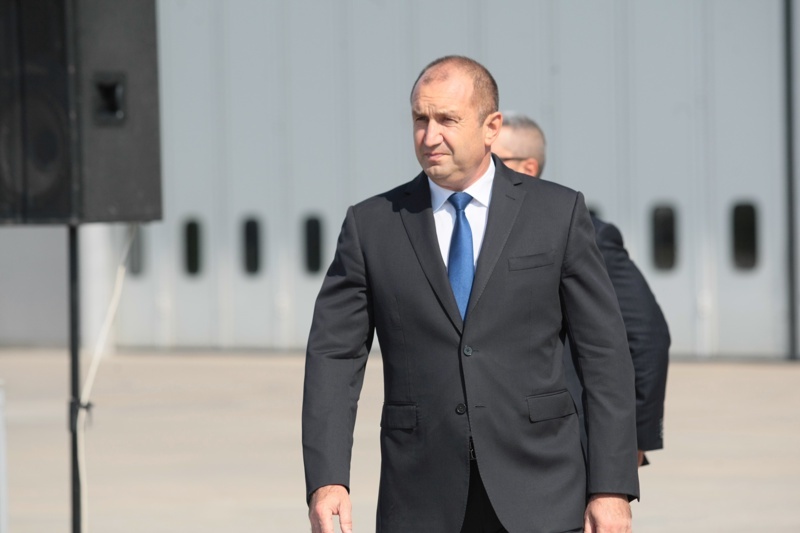 The day before the government issued the position, both President Roumen Radev and PM Boyko Borissov called for Russia to immediately release the members Ukrainian crew. However, now he seems to have turned his views around and express a very similar message to that of Russian President Vladimir Putin, who also made a similar accusation a few days ago, citing Ukrainian domestic political agenda as the reason for the conflict. The 2019 budget was voted by Parliament this week. It is the largest budget in recent memory. The budget’s largest expenditure is salaries. The priority of next year’s budget is education and social security. The minimal wage will be increased from 510 leva per month to 560 per month. 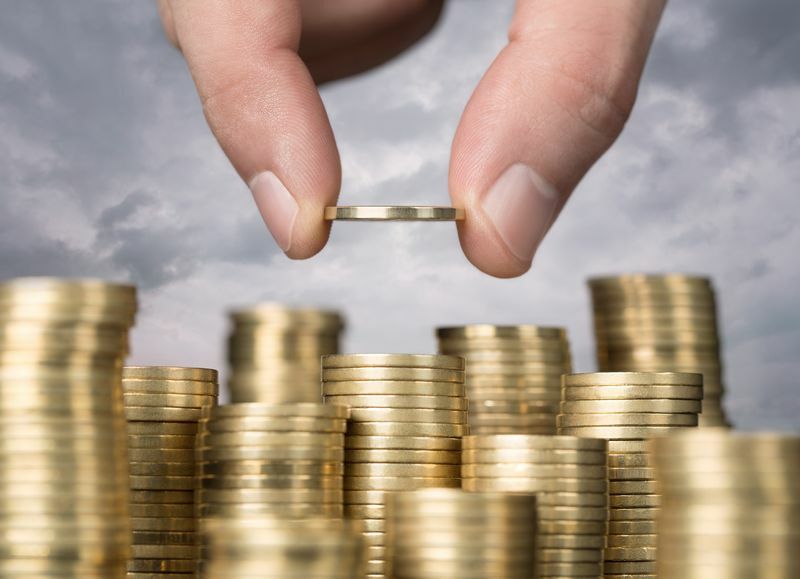 The budget boosts the salaries of government administrative personnel across the board by 10%; teachers will receive a 20% increace in their salaries. As always, the Ministry of Interior will receive more money than before but will keep the proportion of its spendings the same over 95% of its budget for salaries and other personnel costs. Defense will continue to be a priority next year as many defense projects, which are promised failed to begin in 2018. The budget presumes a 3.7% economy growth with 4.66 billion leva more income compared to last year and 5.85 billioon leva more in costs. According to the government the national debt will decline. The amount of additional 150 million leva, for people with disabilities, which was one of the reasons for the continuous protests of parents of people with disabilities and which was promised to them is included in the budget as well. 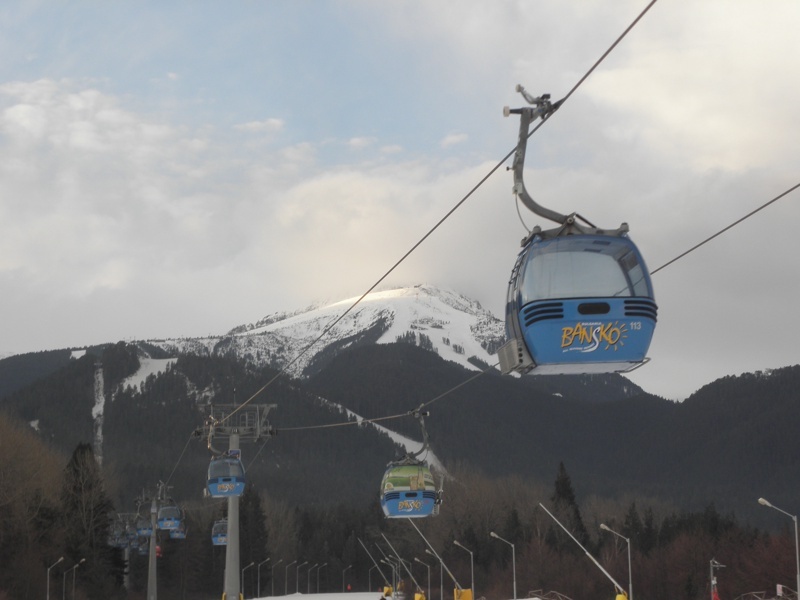 Chief Prosecutor Sotir Tsatsarov is violating the law by threatening the minister of environment and the government with prosecution for not revising the concession contract with Yulen for the ski zone in Bansko and not dealing with found violations, according to environmental organizations. In their words, it is the Prosecutor’s Office job to follow up on these violations, instead of insisting the government revise the contract with the concessionaire. The position is a reaction to Tsatsarov’s interview with Slavi Trifonov last week, in which he said he is thinking of prosecuting the minister for not compying with his request to amend the contract. Minister Neno Dimov has requested the Council of Ministers allow him to do so. However, this is not the proper way to deal with Yulen violating its contract, the ecological organizations stress. “If the Prosecutor’s Office knows of violations on the part of Yulen (…) particularly in increasing the scope of the concession territory (…) it should begin an investigation under Article 278 of the Penal Code. Under any circumstances should a blind eye be turned by resigning the contract with the increased territory, coupled with the sweet justification that this way the contract is for a larger sum of money.”, the coalition of environmental organizations For the Nature’s position reads. Bulgaria is the first country in the EU to ever extradite a Chinese citizen, wanted for receiving pay-offs as a government employee. Yao Jinqi, a Chinese local leval official fled the country in 2005 amid being investigated for corruption.